Power Ground is our highest value Ground Cable. A pair of 14AWG Oxygen-Free Copper conductors with a massive 11AWG aggregate gauge weight generate a very-low impedance pathway to ground. The Power Ground is the least expensive way to experience the massive improvements our Ground Cables deliver. Power Ground is also a fantastic choice where a large number of Ground Cables will be required, such as in a complex Home Theater system. A standard Power Ground is 6Ft long and terminated with an RCA at the component end and a wall plug at the other. 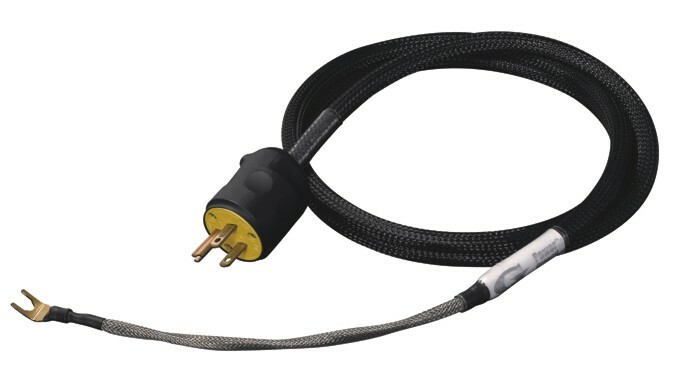 Custom lengths available at an upcharge; XLR, Spade or 3.5mm available as special-order options.